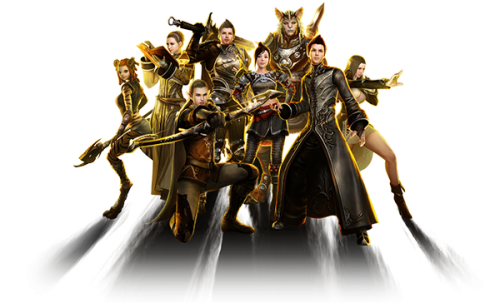 ArcheAge features a very extensive class system, where building a character exactly as you want is a very real possibility. 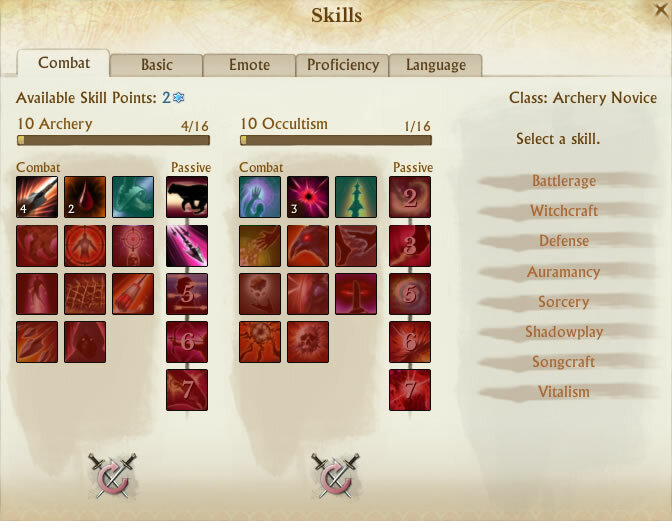 The game has 10 available skillsets, 6 of which are primary and 4 secondary ones. Each skill set offers a range of different abilities, and over time you can of course master all spells in a particular skill set. Your first skillset is chosen at character creation. Upon reaching level 10 players can combine any three skillsets to make a unique class, giving you the option to make 120 different classes (builds)! Combining multiple skillsets becomes available once your character reaches level 10, and skillsets can be changed as you like giving you unlimited room to experiment and find exactly the kind of gameplay you prefer. Of course respeccing (replacing one skillset with another) does come at a price, and it doesn’t automatically unlock all the available skills: you will have to level each skill tree separately, though progress made with skillsets remains permanently even if you re-spec. Each of the primary and support skillsets mentioned above have over 10 active spells, and 6 or more passives which increase their effectiveness further. To unlock more stronger passive skills you will have to learn a set number of active skills first. To unlock the first passive you will need to spend 2 skill points on active skills, and later on the best passives may require up to 10 skill points spent in total (in either passive or active skills) to be unlocked. Active skills from your chosen skill sets can also produce different results based on which buffs or debuffs are on your enemies: they are called Synergies. 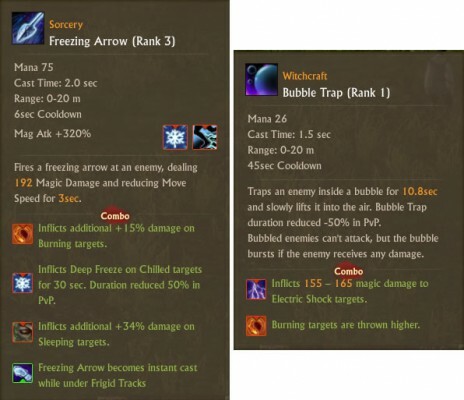 Though most skills simply deal more damage or apply effects like Deep Freeze on Chilled targets for example, some are more specific. 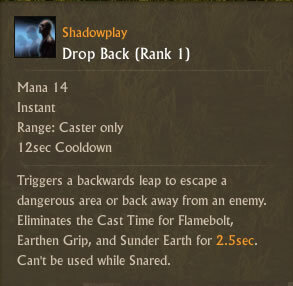 As an example if you use “Drop Back” ability from Shadowplay skillset, your next “Flame Bolt” and several other spells from Sorcery skill set will have no cast time. Synergies make sure you need to put even more thought into picking skill sets for your character. Combos or combo effects on the other hand are additional effects on your active skills which inflict additional damage, apply status effects, or reduce cast time of other abilities. Most skills have 2-3 combos, with some even having 4 different combos. Essentially skills you use and spells you cast can produce different effects, and using other spells afterwards can result in additional effects, such as increased damage or crowd control. This system makes combat in ArcheAge quite dynamic and ensures players with superior knowledge and spell rotations can be dominant over others. 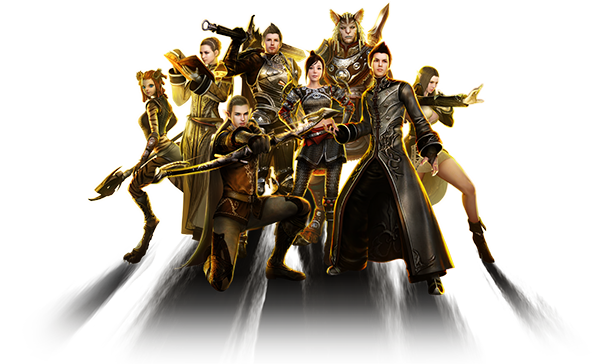 Maximum player level in ArcheAge is 50, but you can unlock multiple skillsets way before you reach that mark. Once you create your character you will have to pick one skillset, with a second one unlocking at level 5. At level 10 you will unlock your third skillset. You can also change your chosen skillsets any time at a certain NPC for a modest fee. As mentioned above every skillset has its own level, which progresses at the same rate your character does. 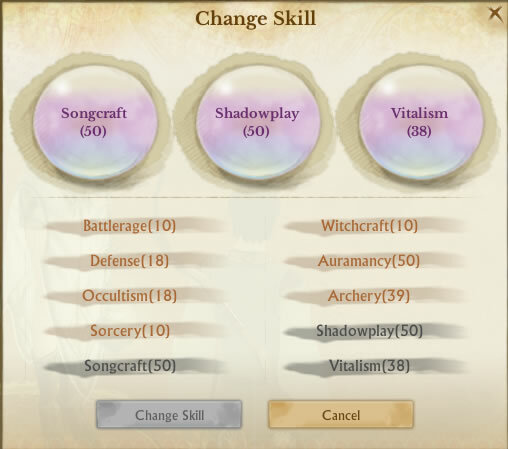 Most spells have certain skill set level requirements (not character level requirements), so you will have to progress from the bottom once you choose a new skill tree. You can eventually level up all skill trees, however you will still only be able to use three at any given time. If you unlearn a particular skillset your experience with it and all the unlocked abilities will remain if you choose to re-learn it. So as mentioned each skillset levels up independently, but your character level does play a part in the progression since it determines how many skill points you have to spend on active and passive abilities. Respeccing or changing your skillsets is done by visiting a “Skill Manager” NPC, or finding one of Nui’s followers at a resurrection site. While changing your skillsets does cost a bit of money, it’s not a significant amount and you should play around with various trees and spells often. 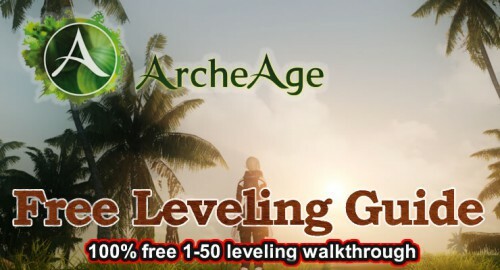 If you choose to unlearn a skillset the levels and progress made in it will be saved so you don’t have to re-level any of the abilities if you pick it up again later on! Additionally, you can reset your spent skill points within a given skill tree by opening the “Skills” menu. 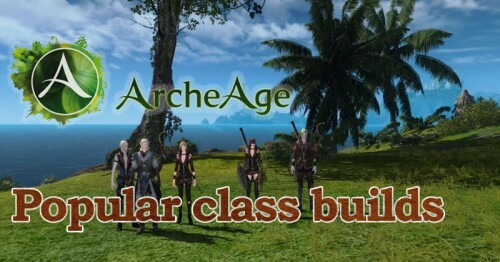 We hope this guide helps you understand the basic of ArcheAge’s class system a bit better. If you have any questions or suggestions for other beginner guides be sure to ask below!